Middle and old age aren’t what they used to be, thank goodness. With many baby boomers just hitting their 50’s (“the youth of old age!”) there’s no reason that the way they look on the outside can’t reflect the vitality they feel on the inside. This means addressing fine lines and wrinkles, the most common sign of aging skin. Some people are genetically predisposed to wrinkling. Sun exposure and smoking are the biggest environmental culprits, though stress can also be a factor. There are many cosmetic antidotes that claim to improve the appearance of fine lines and wrinkles - drugstores have shelves of them on display. Now that medical technology in this field is gaining more attention, consumers have started giving up on “lotions and potions”, seeking scientifically proven methods of bringing out the beauty within. 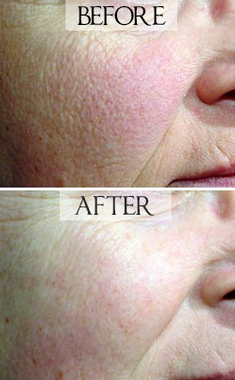 Our LimeLight™ IPL and Laser Genesis treatments will give you the results you seek!